Sound Icon’s concert devoted to the music of Danish composer Hans Abrahamsen was planned to coincide with last week’s Boston Symphony Orchestra performances of his Grawemeyer Award-winning song cycle “let me tell you.” There was, however, another, more atmospheric, convergence: Friday’s concert came on the heels of a winter storm, making the performances of two chamber works, “Schnee” (“Snow”) and “Winternacht” (“Winter Night”), eerily well timed. 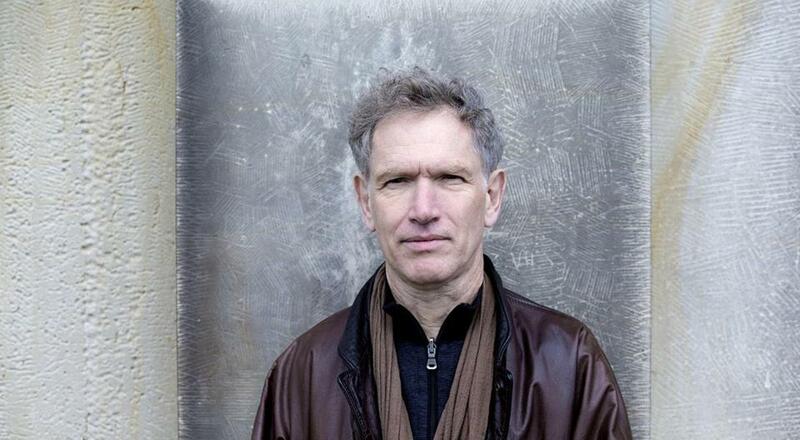 In a conversation with Sound Icon’s director, Jeffrey Means, Abrahamsen remarked that “Schnee” (2008) represented “something new in my works.” Among its discoveries is a highly personal use of canon, a contrapuntal technique in which a musical theme is stated by one instrument and then repeated by another. Every movement in “Schnee” is a canon, and each canon is played in two different versions, as though the composer were working out distinct views of the same material. The other innovation is temporal: The canons are at first protracted but grow increasingly compact, so that time itself seems to be speeding up. Simultaneously, Abrahamsen has certain instruments tune down in microtones, giving a subtle but audible sense that the sound is sinking. While the inventions are fascinating in and of themselves, their real virtue lies in the way Abrahamsen deploys them to capture his subject matter, which he does brilliantly. Here, simply, is snow in what seems to be all its manifestations: the pure, grainy whiteness of the opening; the insistent flakes that seem always to be blowing in your face; imposing objective drifts, whose austerity reminds you of your small place in the universe; hard, frozen landscapes; and, in the all too brief final canon, the childlike innocence of a world freshly remade after the storm. I even thought I caught furtive depictions of the icy, slushy mess clogging Boston’s streets and sidewalks. Rather than arrive at some grand statement, “Schnee” does what any good storm does — it opens a dazzling cosmos for you to wander and get lost in. “Winternacht,” written three decades earlier, made for an apt curtain-raiser, a meticulously built piece in which languid melodies foreground a sequence of tiny repeated cells. Dreamlike, even in its most assertive moments, it nevertheless lacked the startling freshness of the composer’s later achievements. Means conducted strong performances of both works. The audience, though smaller than those in Symphony Hall, filled Northeastern’s Fenway Center, and its attentiveness and lengthy ovation must have pleased the composer just as much.